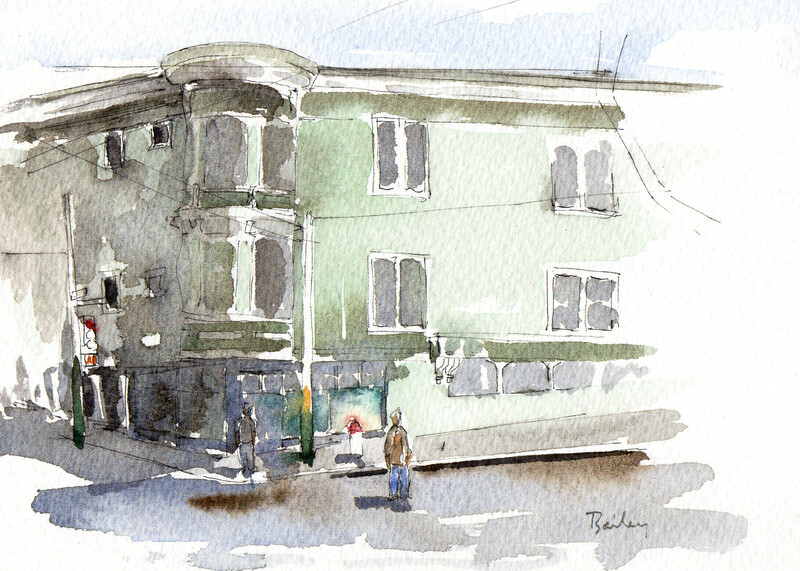 This entry was posted in Watercolor and tagged Art, Creativity, Drawing, Haight-Ashbury, Painting, San Francisco, Watercolor by theartofbrian. Bookmark the permalink. This is fantastic! I love the interaction of shape and form. Thanks for posting! Wow. “working on getting loose and understanding how to work with watercolor”…..Um, I think you’ve got it. Your work is always a pleasure to view. I’m glad you continue to share it with us. This is lovely. I love the very very fine pen line you used to accent this piece. Micron .005 or something else? Well done, Brian! Thank you! I’ve been drawing with a speedball pen, one with the different metal tips that you dip into ink. I hadn’t used one extensively before but I really like the variety of line quality you can get from them. Wow, Brian, where did you get it? I know nothing about these pens, but it sounds interesting. How do you get the line so fine if you’re actually dipping into the ink? That’s pretty incredible. Great job!